The V-8 is tremendous fun, but with the emphasis on fuel economy these days, you might be able to get a good deal on 300C models. Also, Chrysler has revoked its lifetime powertrain warranties found on 2009 models, instead imposing a five-year/60,000-mile warranty on the 2010 Chrysler 300. 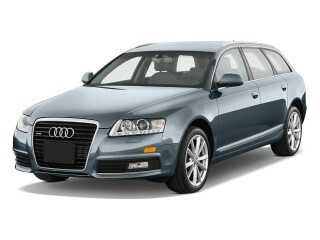 With few differences between the two models, it might be wise checking out the 2009 model. The 2010 Chrysler 300 and 300C sure aren't the freshest faces among large sedans, nor the safest or best appointed, but they're cool and classy, and they still feel uniquely and positively American. 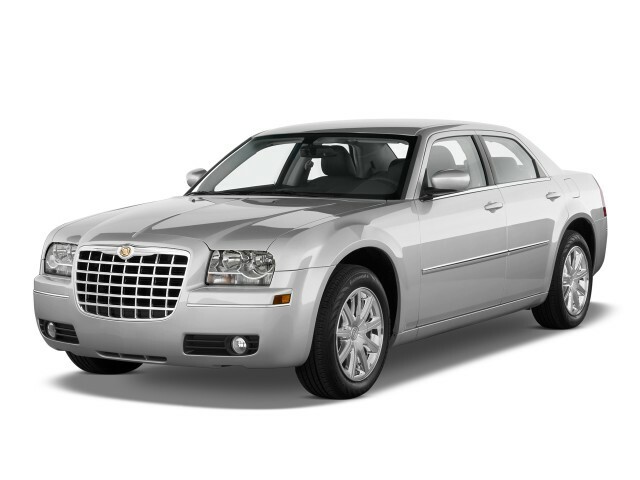 The experts at TheCarConnection.com have driven several different models of the 2010 Chrysler 300—including the HEMI-powered 300C—to give you highlights and an overall impression here in this Bottom Line. TheCarConnection.com has also researched reviews relevant to the Chrysler 300 to bring you the most useful comments in an adjacent full review. While it may have seemed like a revelation back in 2004 when it was first introduced, the Chrysler 300 is the type of vehicle that was once very common in the U.S. market: a full-size, rear-wheel-drive sedan powered by V-6 or V-8 engines. Considering that most manufacturers are scaling back production of larger vehicles, such as Ford’s phasing out of the ancient Crown Victoria and its sibling vehicles, the Chrysler 300 and closely related Dodge Charger remain as some of the few options available for shoppers wanting this type of vehicle. With its debut for the 2005 model year, the Chrysler 300 forged a new direction, and since then, its rather boxy but low look has aged well. It’s still a head-turner—something that can't be said of most other big sedan competitors. New for 2010 are some minor styling upgrades, including chromed door handles and front and rear fascia accents for the 300 Touring model. A number of different trim levels are available for the 300, and they each bring a different driving experience. 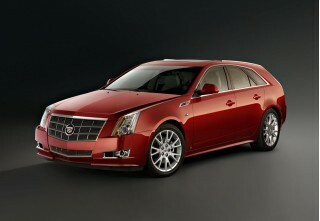 The base 2010 Chrysler 300 models come standard with a 2.7-liter V-6 that pumps out 178 horsepower. These versions are equipped with a standard four-speed automatic transmission. Opting for the Chrysler 300 Touring brings a 3.5-liter V-6 that delivers 250 hp through a five-speed transmission, with both rear- and all-wheel drive available. The higher-spec Chrysler 300C comes with a standard HEMI V-8 that now makes 360 hp, 19 hp more than the 2008 model, while the top-of-the-line SRT8 trim offers an impressive 425-hp 6.1-liter HEMI V-8, along with sports suspension, 20-inch rims, and a number of other upgrades. There are also all-wheel-drive versions of the 300 and 300C. Last year saw the introduction of a new active-transfer case that disconnects the front axle for better fuel economy and performance, and this feature returns for 2010. Base, Touring, and Limited 300 editions offer a softer ride, thanks to the more commuter-friendly suspension, so again, the driving experience varies quite a bit. The 300C and the 300 SRT8 target the performance enthusiasts with high-horsepower HEMI engines and stiffer suspensions—stepping up to the 300 SRT8 nets drivers muscle-car performance in the form of sub-14-second quarter-mile times and a top speed of over 150 mph. The 300 received an interior update for the 2008 model year—substantial enough to include new materials and surfaces, feeling like a significant upgrade. You'll note upscale touches everywhere, from the chrome accents to the soft-opening glove box and, in limited availability, Poplar Burl real-wood trim. There's not nearly as much backseat legroom as you might expect from such a large sedan, though seating itself is comfortable and the trunk is vast. Meanwhile, the 2010 Chrysler 300 makes improvements to its safety credentials with some new standard safety equipment. Last year we complained that side-curtain airbags were only available as an option, even in the expensive SRT8 models, and it seems Chrysler has decided to offer side airbags as standard this year on all models. Still, there are areas for improvement—for example, the base 300 models lack standard anti-lock brakes; they’re only available as a $1,025 option package that includes electronic stability control. This is unacceptable, considering that these features have even begun appearing as standard in econo-boxes. The other niggle we have with safety is that the high beltline doesn't afford very good visibility outside, especially for shorter drivers. Safety aside, infotainment and technology options are plentiful in the 2010 Chrysler 300. New for 2010 are keyless entry and a rear-parking assistance system, both of which are standard on the 300C. Other features include a Bluetooth connection, iPod connectivity, a six-disc changer, a MyGIG audio entertainment system, a Boston Acoustics speaker package, Sirius Backseat TV, remote start, and adaptive cruise control. The 2010 Chrysler 300 lineup isn't fresh, but it carries a handsome, uniquely American look that's aging well. When it comes to affordable large cars, not much out there is better than the 300 at making an impression. The big, retro-themed Chrysler sedan has been around for half a decade, but it still turns heads with its strong and imposing styling that harkens back to the days when Chrysler was king of the hill. With its debut for the 2005 model year, the Chrysler 300 forged a new direction, and since then its rather boxy but low look has aged well. It’s still a head-turner—something that can't be said of most other big sedan competitors. New for 2010 are some minor styling upgrades, including chromed door handles and front and rear fascia accents for the 300 Touring model. One of the more unusual features of the Chrysler 300, according to Edmunds, is the "Walter P. Chrysler Executive Series long-wheelbase package available on Touring and 300C trim levels," which "adds 6 inches to the standard wheelbase to increase rear seat legroom." Apart from the long-wheelbase version, there's not a lot to distinguish the trims from the exterior, since they all feature what Kelley Blue Book describes as "large slab-side panels, a high 'belt-line' and narrow side windows [that] give the 300 an appearance reminiscent of a custom chop-top cruiser." New for the 2010 Chrysler 300 Touring are standard chromed door handles, just like its more expensive siblings in the 300 lineup. All that chrome and other flashy styling elements lead Kelley Blue Book to advise that "if you're looking for something inconspicuous, say, for a stakeout, the Chrysler 300 might not be your best option." Cars.com further describes that the exterior of the 2010 Chrysler 300C offers "standard chromed door handles [and] 18-inch chrome-clad aluminum wheels," while there is a "new chrome grille and 20-inch aluminum wheels on [the] Heritage edition." The Chrysler 300 interior was redesigned for 2008, and the improvements made for that year carry into the 2010 model. 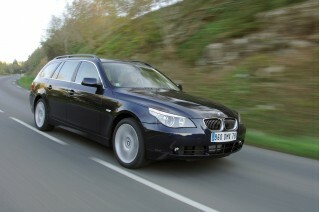 Reviews read by TheCarConnection.com definitely appreciate the styling improvements. Edmunds also favors the "simple but elegant layout that benefited from last year's new instrument panel, center console design and upgraded surfaces," while ConsumerGuide likes how "all controls are within easy reach" and loves that "the navigation system is relatively simple to use, despite a small screen." Cars.com reports that the Chrysler 300's "instruments have a watch-face style, and 300C drivers get a steering wheel with leather accents." Kelley Blue Book has one of the more critical voices, warning that "some may find the interior color choices drab," but the reviewer says that "despite the 300 SRT8's somewhat colorless interior, exquisite touches, such as the faux tortoise shell steering wheel on the 300C, add an air of individuality and elegance." With engines ranging from an economical V-6 to large-displacement V-8s—plus the suspension and brakes to match—you can find the performance you want from the 2010 Chrysler 300 or 300C model of your choice. A number of different trim levels are available for the 300, and they each bring a different driving experience. Performance-wise, the 2010 Chrysler 300 engine lineup ranges from the adequate-but-docile V-6 variants to the snarling, V-8-powered beast that is the 2010 Chrysler 300 SRT8 edition. The base 2010 Chrysler 300 models come standard with a 2.7-liter V-6 that pumps out 178 horsepower. These versions are equipped with a standard four-speed automatic transmission. Opting for the Chrysler 300 Touring brings a 3.5-liter V-6 that delivers 250 hp through a five-speed transmission, with both rear- and all-wheel drive available. The higher-spec Chrysler 300C comes with a standard HEMI V-8 that now makes 360 hp, 19 hp more than the 2008 model, while the top-of-the-line SRT8 trim offers an impressive 425-hp 6.1-liter HEMI V-8, along with sports suspension, 20-inch rims, and a number of other upgrades. There are also all-wheel-drive versions of the 300 and 300C. In total, Edmunds observes, the Chrysler 300 is available with four different engines, which include a "2.7-liter V6 that produces 178 hp and 190 pound-feet of torque," while a "3.5-liter V6 good for 250 hp and 250 lb-ft of torque" comes on the Touring and Limited trims. Opting for either the Chrysler 300C or SRT8 trim levels brings two extra cylinders and a significant power boost into the fold. ConsumerGuide reports that the "300C uses a 5.7-liter version" of Chrysler's "Hemi V8 with 359 hp,” while the "SRT8 uses a 6.1-liter Hemi V8 with 425 hp." 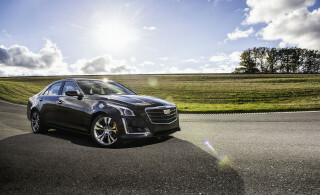 With such varying engines, driving impressions also differ depending on how much power hums under that long hood, with Cars.com claiming that the "3.5-liter V-6 delivers adequate power for mountainous terrain, but no true surplus," while "performance is almost as appealing with the 2.7-liter V-6." On the HEMI-powered Chrysler 300C model, Kelley Blue Book raves about the "impressive blend of power and grace" afforded by the V-8, while ConsumerGuide reports that the "brawny SRT8 leaps off the line and has a surplus of power at any speed." Considering the 300’s weight, the fact that the SRT8 models can complete the sprint to 62 mph in just 5.5 seconds is astonishing; the SRT8 will also lap the quarter-mile in under 14 seconds and get you over 150 mph if you find a long enough stretch of road to push it. Opting for the V-8 options, however, will leave your wallet significantly lighter anytime you fill up for gas. Like the big domestic sedans of old, the 2010 Chrysler 300 is one thirsty vehicle. ConsumerGuide rates the V-8s below the class average for fuel economy, noting that a "test SRT8 averaged 15.5 [mpg]" and "300s with the 3.5 V-6 averaged 19.5 mpg in rear-drive form." According to the official EPA estimates, the 5.7-liter engine gets only 16 mpg city, 23 mpg highway when matched with AWD. While the V-8 engines get rave reviews from journalists, TheCarConnection.com has disappointing news for those who enjoy shifting gears themselves—once again, Chrysler will not be offering a manual variant of the 300. According to ConsumerGuide, the Chrysler 300 "LX and rear-drive Touring and Limited have a four-speed automatic transmission [and] all others use a five-speed automatic." While there are new automatic transmissions that are exceptional at what they do on the market, the fact that a four-speed is standard on the lower trims and there's no six-speed for the SRT8 is not exactly good news. ConsumerGuide notes "both transmissions suffer some lag before downshifting, but the five-speed's manual shift gate helps." In terms of drive wheels, Edmunds states that the "Chrysler 300 LX is only available with rear-wheel drive," while "all-wheel drive is optional" for the Touring, Limited, and 300C trims. Last year saw the introduction of a new active-transfer case that disconnects the front axle for better fuel economy and performance, and this feature returns for 2010. On the road, the 2010 Chrysler 300 is no slouch, combining a smooth ride with some serious handling capabilities, especially on the top-end models that feature stiffer suspension setups. Cars.com says to "expect a confident feel through winding roads" and notes that "performance in snow and ice is amazing because of the Electronic Stability Program." ConsumerGuide contends that the 2010 Chrysler 300's "ride is generally smooth" and even "impressively smooth" on the SRT8, "despite 20-inch tires and performance suspension tuning." 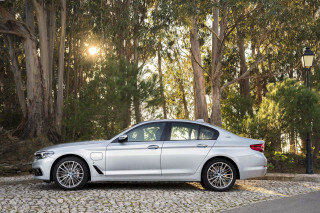 Kelley Blue Book claims that "the suspension doesn't readily evoke that of a European sport sedan, but tight and true steering keeps you feeling in control of what is admittedly a large vehicle." Base, Touring, and Limited 300 editions offer a softer ride, thanks to the more commuter-friendly suspension, so again, the driving experience varies quite a bit. With all that heft and power, the Chrysler’s brakes will always have to be top-notch to satisfy the car’s needs. ConsumerGuide says "offer solid stopping power but suffer from occasional mushiness,” suggesting that the brakes are adequate, but could be improved. By most accounts, the 2010 Chrysler 300 offers enough space; however, despite upgraded materials, reviewers still note some shoddy interior details. The 300 received an interior update for the 2008 model year—substantial enough to include new materials and surfaces, feeling like a significant upgrade—so it's worth another look if you dismissed this car the last time you were shopping. You'll note upscale touches everywhere, from the chrome accents to the soft-opening glove box and, in limited availability, Poplar Burl real-wood trim. Overall, the Chrysler 300 series offers a comfortable, quiet ride and some upgraded interior materials that take the cabin to the next level in terms of luxury. With its generous dimensions, the Chrysler 300 has a lot of interior room to play with. Offering generous passenger space in both the front and backseats, ConsumerGuide also notices "lots of headroom and legroom," although the "flat seat bottoms cause passengers to slide during aggressive cornering except in [the] SRT8, which has grippy suede seat inserts." Car and Driver reports that the Chrysler 300 has "ample interior space," and "when used for sitting, both the front and rear seats coddle the keister." Kelley Blue Book agrees that "legroom is abundant throughout, as is headroom both front and rear," while reviewers at CarGurus appreciate the "cavernous interior" that allows great "interior room and comfort." While you would expect such a large vehicle to offer its occupants an ample amount of space, the same can not be said for the luggage they may be hauling. ConsumerGuide rates the Chrysler 300 below the class average in regard to cargo space, claiming that while the "300 has a large, deep trunk," the trunk "liftover is fairly high, and the opening is too small to load large cargo." CarGurus remains disappointed by the sedan's cargo space, explaining that "drivers also believe a big sedan like the 300 should have more trunk space." Edmunds provides even more criticism of the trunk, stating that the Chrysler 300's "trunk capacity measures a relatively modest 15.6 cubic feet." These negatives are tempered by ConsumerGuide, which reports that there is "decent cabin storage abetted by numerous cubbies and [a] roomy center console." The 2008 refresh of the Chrysler 300 brought improvements in both materials and build quality, and reviews read by TheCarConnection.com certainly took notice. For 2010, those improvements carry over, and Edmunds says that the Chrysler 300 has "a much nicer cabin, but given the 300C's price, some may expect something nicer." ConsumerGuide agrees, noting that while "tasteful wood and chrome accents and some padded surfaces give a luxury feel to an otherwise commonplace interior," it simply isn't enough when "what passes for acceptable at $30,000 seems inappropriately cheap on cars loaded to $45,000." On the other hand, Kelley Blue Book tends to like the interior materials, though "some of the plastics lack the precise color-matching and touch-friendly feel of some top-notch luxury sedans." While TheCarConnection.com finds that build quality isn’t usually an issue among reviewers, a ConsumerGuide test vehicle "suffered from misaligned body panels and improperly assembled interior trim pieces." In terms of cabin noise, the 2010 Chrysler 300 lineup offers a relatively quiet ride, according to reviews read by TheCarConnection.com. ConsumerGuide notes that "tire thrum [is] evident, but not objectionable." Overall, cabin noise is acceptable to most reviewers but falls short of impressive. ConsumerGuide also says that the available "V-6s cruise quietly, [and] roar noticeably during acceleration," while the large "V-8s have [a] throaty, subdued growl." The 2010 Chrysler 300 loses points for still not offering some essential safety features on the entire lineup. Crash-test ratings aren't stellar, either. The 2010 Chrysler 300 improves its safety credentials with the addition of some new standard safety equipment. Chrysler decides to offer side airbags as standard this year on all models. Still, there are areas for improvement—for example, the base 300 models lack standard anti-lock brakes; they’re only available as a $1,025 option package that includes electronic stability control. This is unacceptable, considering that these features have even begun appearing as standard in econo-boxes. The 2010 Chrysler 300’s safety record is puzzling, to say the least. In order to cut costs, certain essential safety features are left as optional—such as the fact that ABS brakes are only available as part of a $1,000 electronic stability package. For 2010, however, Chrysler decides to add side-curtain airbags as standard on all models across the range—although this does little to improve the 300’s safety credentials as explained below. In NHTSA tests, last year’s Chrysler 300 earned quite acceptable crash scores, with five-star results in frontal impact and a mix of four- and five-star results in side impact. The IIHS confirms the 300’s good showing in frontal protection, but last year gave it their worst possible score of "poor," for side impacts due to the lack of standard side airbags. 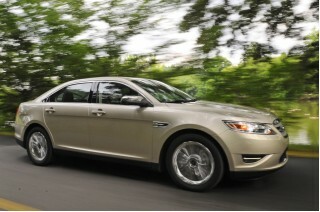 Even with the now-standard side airbags in place, the score improves to the IIHS’ second-lowest rating of "marginal." While this isn’t exactly a glowing review of the 2010 Chrysler 300’s side-safety features, it is an improvement on last year’s model. According to reviews read by TheCarConnection.com, standard safety equipment varies considerably across the 2010 Chrysler 300 lineup. ConsumerGuide states that the base model offers standard "four-wheel disc brakes" and "dual front airbags," while the Chrysler 300 Touring adds "antilock four-wheel disc brakes, brake assist, [and] antiskid system." Edmunds observes that the base model “doesn't get much in the way of standard safety equipment, but antilock brakes and stability and traction control are at least optional." Cars.com reviewers also point out that Chrysler 300C models come with "adaptive cruise control [that] regulates speed based on the distance to the vehicle ahead." With so many features available for the 2010 Chrysler 300, it’s hard not to go overboard. Infotainment and technology options are plentiful in the 2010 Chrysler 300, and it has definite appeal for geeks and those who spend a lot of time in the car. New for 2010 are keyless entry and a rear-parking assistance system, both of which are standard on the 300C. Other features include a Bluetooth connection, iPod connectivity, a six-disc changer, a MyGIG audio entertainment system, a Boston Acoustics speaker package, Sirius Backseat TV, remote start, and adaptive cruise control. The 2010 Chrysler 300 is available in a wide array of trim levels, and between those trims and the options list, there is something for consumers in just about every price range. TheCarConnection.com discovers that while the base-level Chrysler 300 can be understandably feature-light, other trims offer a long list of standard features. Edmunds reviewers find that the 2010 Chrysler 300 LX "comes standard with 17-inch alloy wheels, air-conditioning, cruise control, full power accessories...eight-way power driver seat," and a "four-speaker stereo with CD/MP3 player and auxiliary audio jack." Stepping up to the Chrysler 300 Touring, ConsumerGuide reports that the standard features expand to include "dual-zone automatic climate controls" and "heated power mirrors," along with "satellite radio." Moving further up the ladder, the Limited trim is even better stocked, notes Edmunds, which says it includes a "trip computer, steering wheel audio controls and a six-speaker touchscreen-operated stereo with six-CD changer and 30GB hard drive for digital music storage." The major standard features available on the Chrysler 300C and 300 SRT8 models include a "Boston Acoustics eight-speaker sound system" and "power sun roof," according to Kelley Blue Book. Additionally, new for 2010 on the 300C model is Chrysler’s Keyless Entry/Go system, as well as the ParkSense rear parking system. Both features make the 300C even more attractive, especially the latter addition, considering the 300C’s considerable bulk. While the standard features are plentiful, it’s the options list where you’ll see the more appealing features—be careful, though, as there are enough options to drive the price of a fully loaded Chrysler 300 SRT8 to the $50,000 mark. 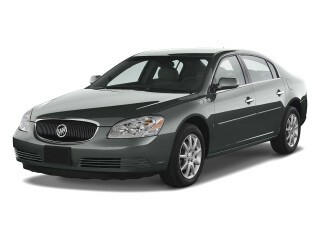 Major options are typically grouped in packages with availability depending on the trim level. Examples include hard-drive-based and surround-sound audio systems, a navigation system, a rear-seat DVD entertainment system with Sirius TV, adaptive cruise control, Bluetooth, and an iPod interface." 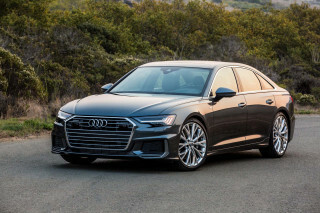 For the business executive who want to make an intimidating entrance, a long-wheelbase edition includes "writing tables, footrests, illuminated vanity mirrors, adjustable reading lights and 12-volt power plugs for charging mobile electronic devices" from the backseat, reports Cars.com.